Don't be fooled by the name, which should belong to an unassuming gastropub. Nigel Platts-Martin and Philip Howard's venture is a very serious restaurant. This is the kind of food that aims to draw a round of applause before it's even been tasted, where sauces are poured in complex geometries, where slender towers of ingredients appear more like architects' models than food, and where familiar-sounding ingredients have been foamed, crushed and pureed beyond any hope of recognition. Before gentrification, this part of Notting Hill used to be known as 'crack square'. The Ledbury has replaced this trade with food that's better than any drug, but at prices that will bankrupt you faster than the most ferocious addiction. The Ledbury gyms, sporting activities, health & beauty and fitness. The best pubs near London The Ledbury. 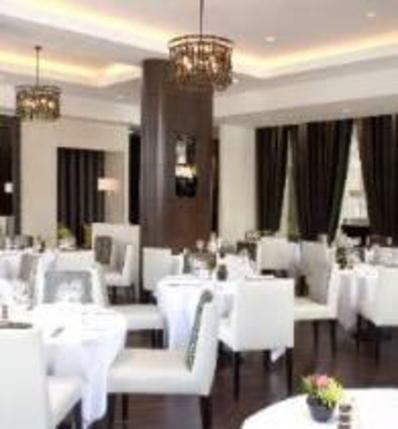 The Ledbury clubs, bars, cabaret nights, casinos and interesting nightlife. Where to have your meeting, conference, exhibition, private dining or training course near The Ledbury. From cheap budget accommodation to luxury 5 star suites see our deals for The Ledbury hotels, including The Abbey Court Notting Hill from 68% off.